Home / News / Letran students kidnapped his classmate to have seven digits in his bank account? Letran students kidnapped his classmate to have seven digits in his bank account? 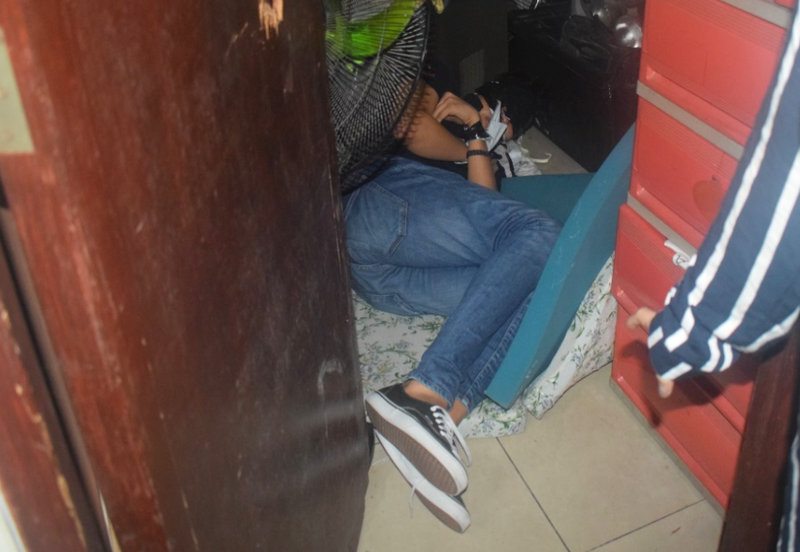 A student of Colegio de San Juan de Letran who was kidnapped by a group of students, saved by the Anti-Kidnapping operatives last August 3. According to Glen Dumlao executive Chief Superintendent of AKG, the 19 year old victim, who does not want to be recognized was kidnapped by 6 suspects together with his classmate Jhulius Atabay while they were waiting for a ride home in Manila last August 1 around 9:30pm. Few hours later, Atabay was freed by the suspects. Atabay was the one communicated with the victim’s family; a P30m ransom was demanded by the suspects, only to find out that the mastermind of the abduction is the one and only Jhulius Atabay. During the cross-examination on August 2, Atabay’s confession prompted to the rescue of the victim and the capture of the suspects; besides Jhulius Atabay, two other suspects are students from Letran, Ferdinand dela Vega Jr and Ralph Emmanuel Camaya, Justin Mahipus a student of the College of Saint Benilde. 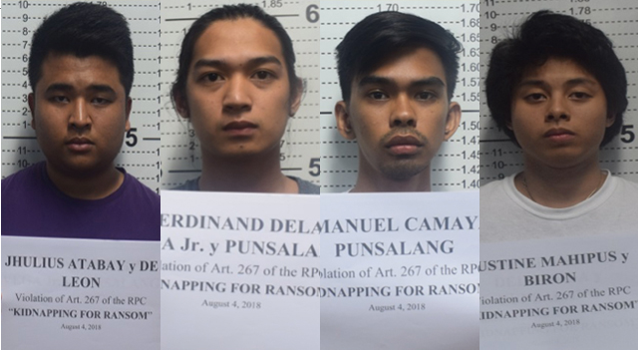 Other four suspects are also students of Letran; Eriek Candava, Billy Rocillo, Miguel Austria, and Kim Pascua. One student of Far Eastern University was also allegedly involved in the kidnapping, Gabriel Rabi and a student pilot named Arvi Velazquez. “Si Jhulius ang nakikipagusap (sa mga kidnappers) pero nagduda and AKG. Ayaw niya i-turn over ‘yung phone (while negotiating with the kidnappers). ‘Yung kidnappers kakausapin siya then siya mag-relay sa families which is unusual. Kaya sa kanya sumentro ang investigation,” said Dumlao. Dumlao stated that the victim’s family asked for help from the police after they received the ransom demand of the suspects. So then Atabay became the center of the officer’s investigation after they observed that the suspects negotiated only through Atabay. The victim was finally saved on August 3 at Nava Street, Barangay 12, District 1, Balut Tondo Manila. The arrested suspects pointed to Atabay as the master mind of the kidnapping and that he guaranteed to pay them P40,000 to P4M relying upon their involvement. “Gusto niya (Atabay) magka-pera. Tinatanong namin siya (sabi niya) gusto rin niyang magka seven digits (sa bank account). Parang trip lang ‘yung nangyari,” he said. Colegio de San Juan de Letran already issued a statement saying they will coordinate with the investigation to help the police and the family of the alleged kidnap victim and as well to promote the protection of theirs students.